Light commercial vehicles have always been a key part of transportation, construction and mining industries. These can be found in the line up of virtually any transportation or construction company, right next to heavy-duty commercial vehicles. While heavy-duty trucks offer advantages in strength, capacity and greater capabilities, light commercial vehicles are very efficient and cost-effective for transportation of materials and good on short distances or loads of smaller weights. Smaller, more compact and ideal for carrying lighter goods, these vehicles are a must-have. When it comes to choosing one for your business, you will have to go through several light commercial vehicle types. Here are the most popular types of light commercial vehicles you should consider. Vans – Vans are your perfect choice for transportation of small loads on a daily basis. These light commercial vehicles are used for transporting both people and goods. Usually, the van is described as bigger than a car and smaller than a truck. Since vans are very popular, they are being produced by some of the world’s most popular vehicle brands. The vans have been used for many different purposes, such as postal services, federal express services, cargo services, police services, medical services, etc. Pickup Trucks – A pickup truck is a light-type of truck with a cab in the front and an open-cargo area at the rear with a gate that opens for easy loading and unloading of loads. The first model of pickup truck was manufactured by Henry Ford in 1925, with a production of 34,000 units. Since, the pickup truck has been redesigned many times to match customers’ demands. Hence, to suit the specific needs of different users, there are pickup trucks of different sizes: compact-size, mini-size and fulls-size pickup trucks. Full-size pickup trucks are powered either by a six- or eight-cylinder engine. There are also some pickup truck models with rigid vertical sides that serve as a tray. 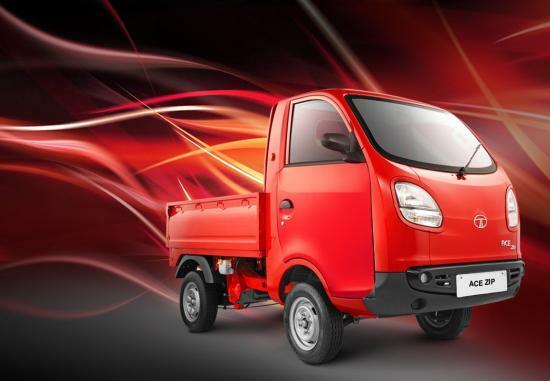 Three-Wheelers – The most unique type of light commercial vehicle is the three-wheeler. Even though some models look like a motorcycle and others like an all-terrain vehicle, the three-wheelers are vehicles that can be legally classed as either motorcycles or automobiles. Lightweight and compact, three-wheeled vehicles are the most economical vehicles to run. Most three-wheelers have two wheels at the back and one at the front, but there are some with one wheel at the back as well. These light commercial vehicles are usually preferred because of economic reasons since they have lower safety regulations and owners pay lower taxes.